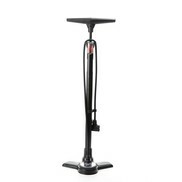 The Crankbrothers Klic premium air pumps come along with a sophisticated style. 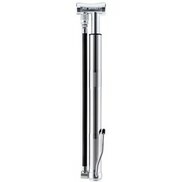 Stowed in the interior of the pump tube is which magnetically attached to the pump head and the foldable handle makes handling extremely universal and comfortable. 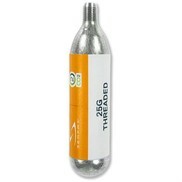 The tube is suitable for Presta or Schrader valves. 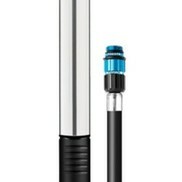 The HP version of the Klic pump is the optimal solution for your tire to about 45C to inflate fast. 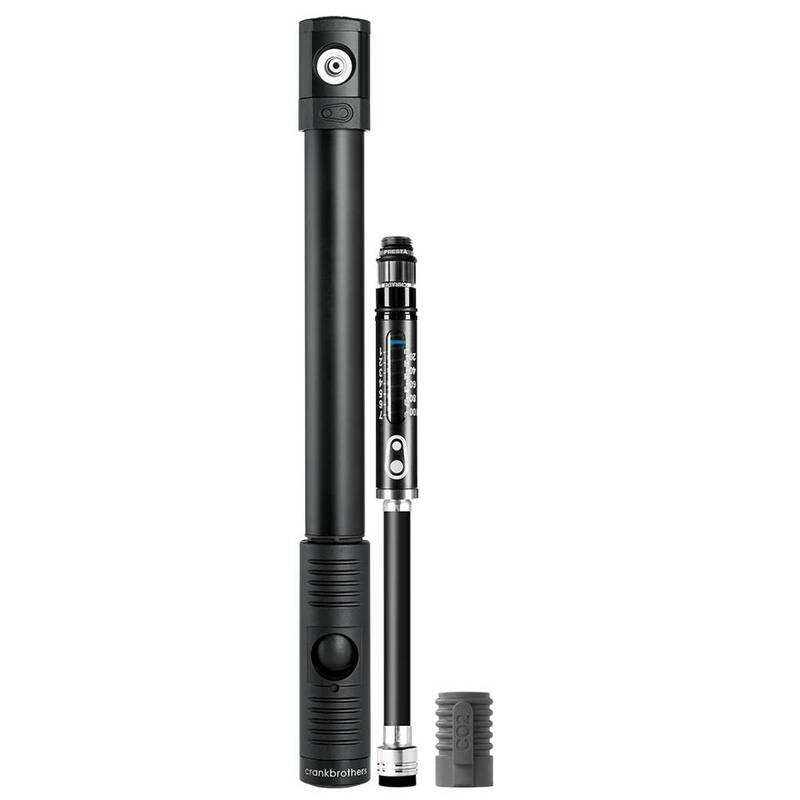 In order not to lose the correct air pressure in the eyes has this air pump via the tube integrated pressure gauge. Needs in situations where there are in a hurry, you can access the ingerierte CO2 function of the pump. For tires with more volume the Crankbrothers Klic HV is recommended with pressure gauge | CO2.